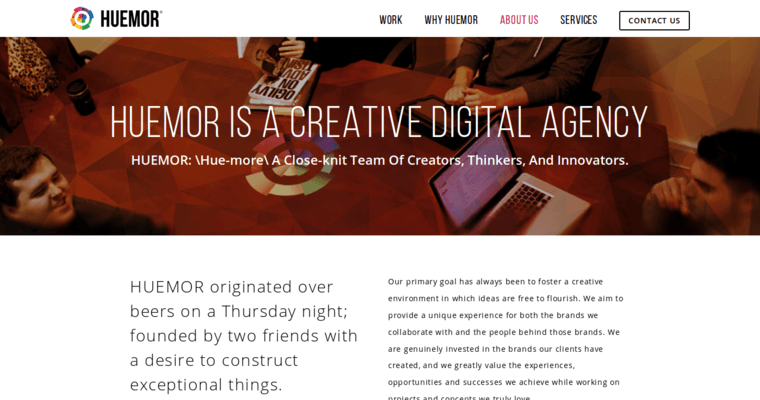 Huemor Designs is a community of organized, open-minded digital marketing professionals who love empowering business owners to interface with the client in a manner that facilitates connectivity. The outcome of an advertising program implemented by the Huemor Designs professionals is more visibility and an increased likelihood of brand loyalty. One of the primary techniques used by the Huemor Designs representatives to realize this objective is responsive web design. This web design and development modality ensures that the client's product pages can be easily accessed no matter which electronic device the viewer used to reach the site. Choose Huemor Designs and watch your brand begin to grow in a remarkable way!